Kineta Booker fixes some summer problems and moves into autumn in a matter of minutes. 1. 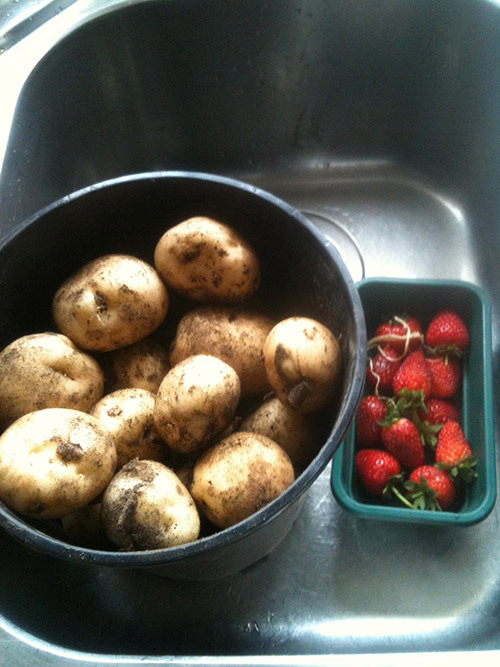 Because of the hot sun and little rain over the past couple of months, I’m spending most of my five-minute gardening allowances watering the garden. If you’re still on water restrictions, focus your attention on only the thirstiest of plants. 2. Another five-minute job I’m doing at the moment is mulching. 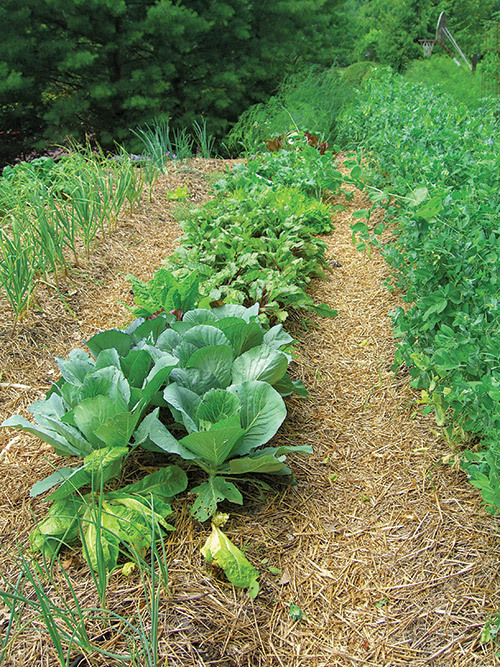 If you have a low water supply after little summer rain, mulching will improve water retention, and, my favourite, help suppress weeds! 3. Through all the wonderful heat of spring and summer, hedges have grown out of control. 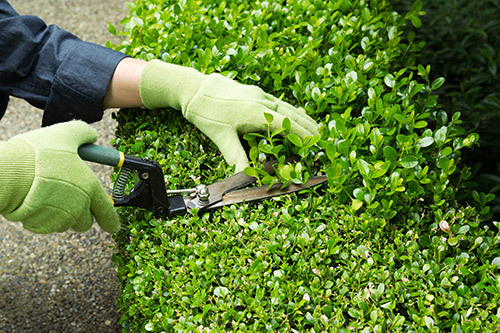 It’s not a quick job, but you could trim your hedges in a few five-minute blocks. I trim quickly, then go back and tidy up when I have a few more minutes spare. 4. It only takes a couple of minutes to plant out some broccoli seedlings. 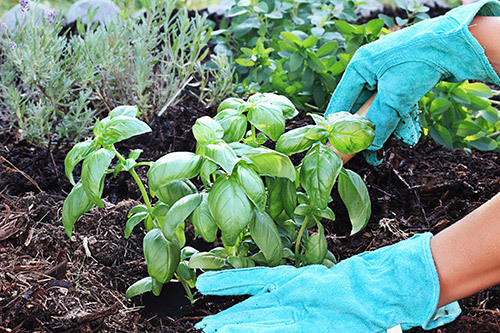 Isn’t it amazing how much gardening you can actually do in five minutes? 5. Delight someone by pulling together your garden surplus and giving it away. It doesn’t take long and it will make someone else’s day. 6. 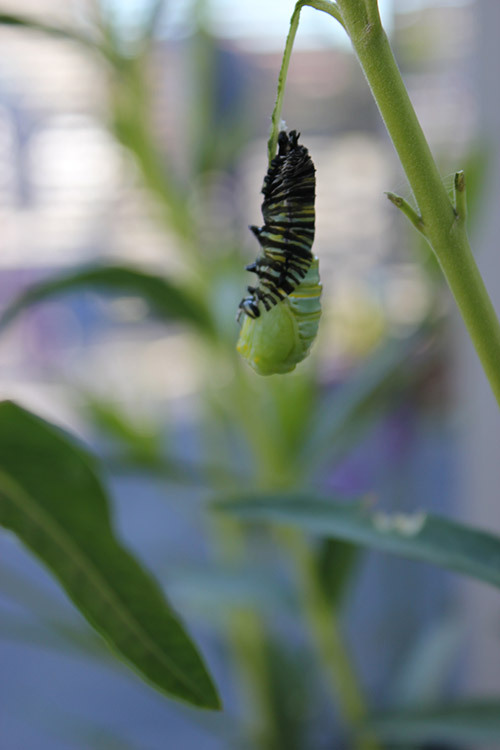 And, if you happen to be passing your swan plant and see a monarch caterpillar spinning into its chrysalis, take a moment to watch. It’s absolutely amazing.